I’ve already professed my love for Jaylon here before and now of course things got complicated with his devastating knee injury. The NFL loves this guy’s skill set comparing him to Patrick Willis. He’s exactly the kind of guy we need, a sideline to sideline demon that can sift through the garbage to stick ballcarriers. 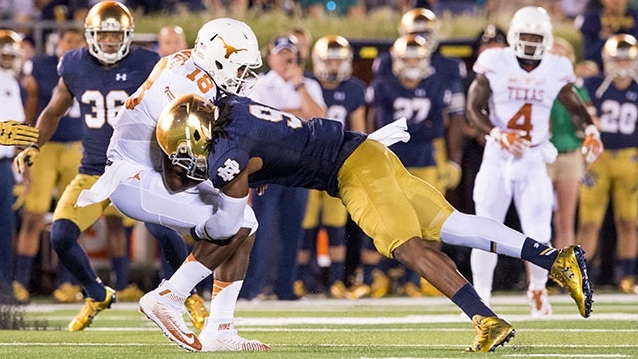 Two NFL scouts speaking to Peter King indicated Notre Dame junior LB Jaylon Smith would have been a top-three pick had he been healthy. The first scout, who was at the Fiesta Bowl, said Smith was a top-three pick. The other said Smith was a strong candidate to be the top pick overall. "There is not a defense he would not fit in," the second scout said. "This is a huge story." There are parallels here between Smith's situation and that of Todd Gurley last year, but Smith's injury may be more serious and it came roughly seven weeks later in the season than Gurley’s. "I know this is going to scare guys on the fence about coming out," said the scout who was at the Fiesta Bowl. Explosive linebacker that closes quickly on ballcarriers. Great recovery speed. The kind of guy you can build a defense around. He can also cover as well as a corner. His natural pass-coverage skills are extremely impressive. NFL evaluators are going to love what Jack can do in the passing game. He’s a likely top 10 pick. 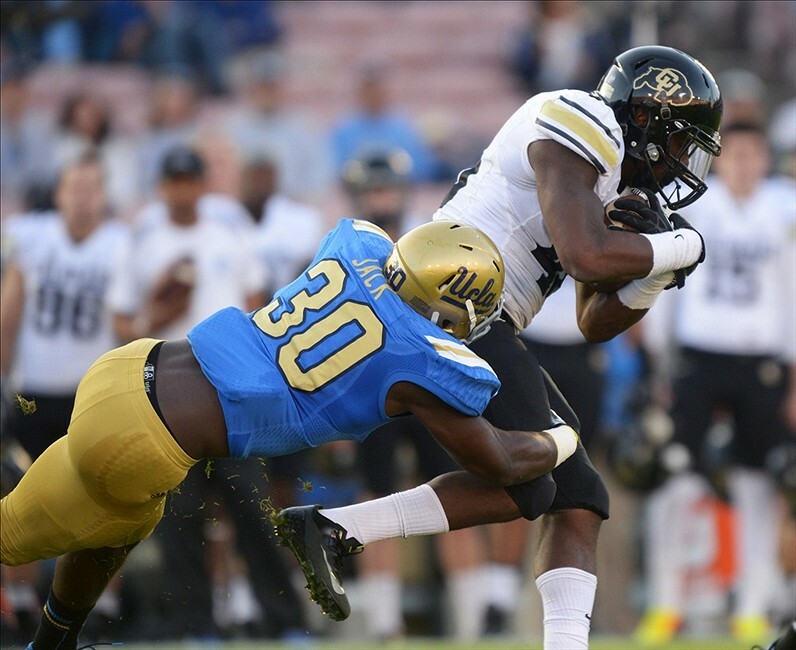 UCLA LB Myles Jack (knee) says he'll have no limitations at next month's NFL combine. This guy’s stock has been on the rise. He’s a hammer in the middle. 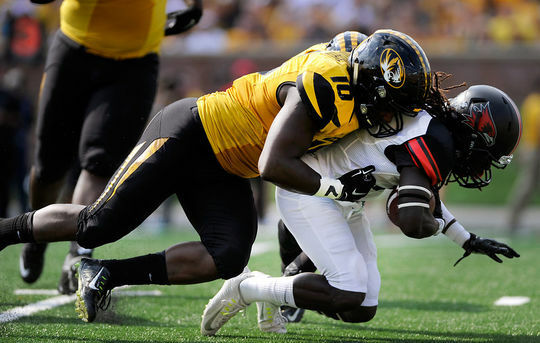 The SEC defensive player of the year is highly productive and a natural leader. 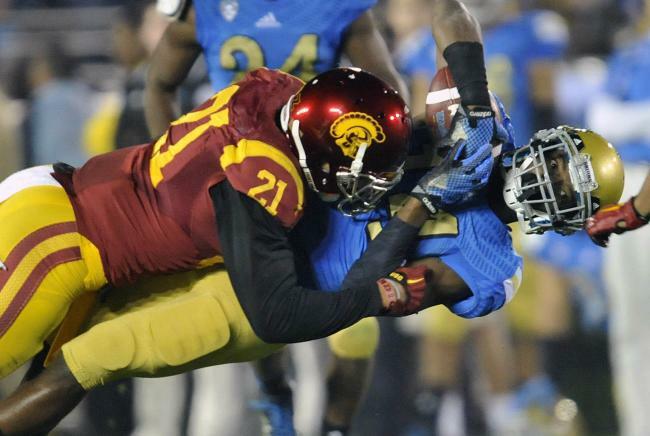 He’s not the athlete that Myles Jack is but he makes up for it with great instincts and effort. Might go in the top 15. Alabama HC Nick Saban said that he is "sure" that senior ILB Reggie Ragland will be a top-15 pick. Cravens is a hard nosed tweener prospect who played safety at USC but most scouts view him as a linebacker in the NFL. He has well-rounded and athletic skill-set to play a Kam Chancellor-like role at the NFL level. He’s drawn comparisons to Chancellor and Shaq Thompson. Right now I see him in the bottom half of round 1. USC junior LB/S Su'a Cravens impressed NFL.com's Daniel Jeremiah with his coverage ability Saturday against UCLA. A very athletic pursuit linebacker, The 6-foot-2, 228-pounder had 66 tackles, 11 TFL, 4.5 sacks, an interception and a pair of forced fumbles this fall. The difference between a guy like him and Myles Jack is that Lee has a tendency to miss tackles. That needs to improve. Has a shot to go in round 1, but might be available for Miami in round 2. NFL Network Analyst Daniel Jeremiah describes Ohio State redshirt sophomore OLB Darron as the "perfect new school" linebacker. Perry is an every down linebacker who is effective against the run and excellent blitzing linebacker too. He’s slated for round 2. 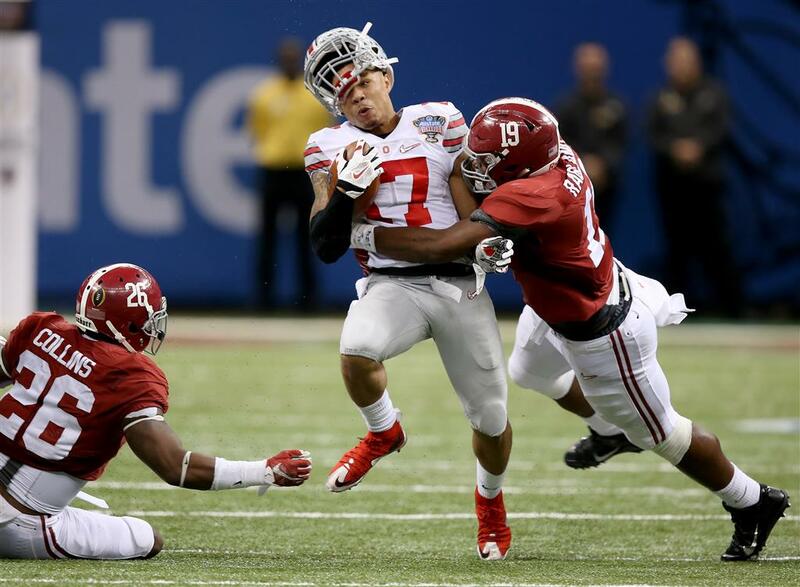 Ohio State LB Josh Perry will attend the Senior Bowl. Ohio State senior OLB Josh Perry "won't receive many headlines and won't be as highly drafted as others on this list, but his combination of steady play on the field and coachable attitude off of it will earn him draftable grades around the league," postulates CBS Sports' Dane Brugler. "According to several close to the program, he is the 'consummate teammate' due to his mature mental make-up and leadership traits on and off the field," Brugler reported. "Perry only knows how to play one speed with a nonstop motor and aggressive approach that takes him out of plays at times, but also allows him to make stops other linebackers can't." 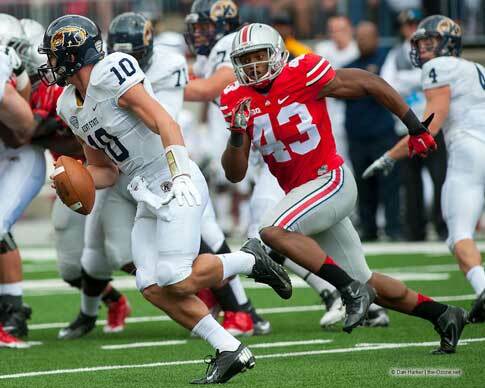 The 6-foot-4, 254-pounder led the Buckeyes with 124 tackles and chipped in 8.5 TFL last year. "He has strong hands and wrists to take on blocks and finish tackles, not allowing road blocks to slow him down in pursuit," Brugler wrote. Perry runs a 4.73 forty. Brothers is a classic inside linebacker prospect for the NFL, showing the toughness to take on blockers in the hole and an explosive pop to knock the ball free as a hitter. But he is not a special athlete and becomes a liability in coverage. A likely 2nd rounder, possibly lasts til the 3rd rd. Very fast, very athletic. He’s very rangy and highly active around the ball. He’s a well kept secret. Made himself a lot of money this year. A likely top 100 prospect. 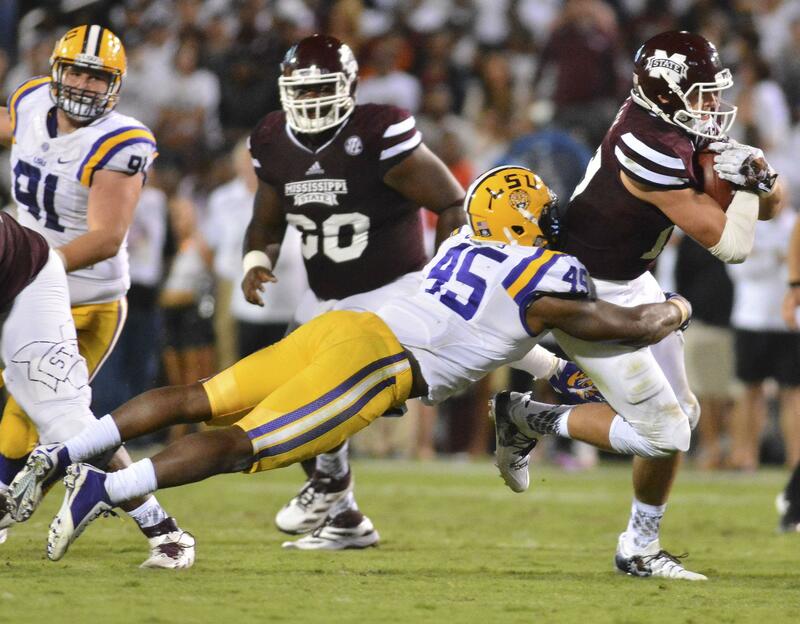 LSU senior OLB Deion Jones accepted an invitation to the Senior Bowl. Scouts are all over the place projecting where Wright will go in the draft. Somewhat limited athletically but very productive when healthy and a true leader out there. A likely 3rd rounder but could fall even further. CBS Sports draft analyst Rob Rang wrote that Arizona junior LB Scooby Wright "boasts terrific instincts--consistently timing the snap count to squeeze through gaps to make plays behind the line of scrimmage." TFY Draft Insider Tony Pauline believes Oklahoma senior edge rusher Eric Striker could be a "playmaker" in the proper system in the NFL. Last edited by swerve13 on Wed Jan 20, 2016 3:19 pm, edited 3 times in total. I like Ragland, and if you could actually trade down and still pick him up. That Deion Jones could be a steal if gotten in the 3rd round. Keep an eye on his stock. Reggie would be a definite candidate if Miami were to trade down. James Walker, the ESPN guy that covers the Dolphins has stated that he believe the Dolphins need 3 linebackers, but does not know if they can replace all 3 this year. I could also definitely see Myles Jack being the pick at #8 to Miami as well. Playmaker. James Walker, the ESPN guy that covers the Dolphins has stated that he believe the Dolphins need 3 linebackers, but does not know if they can replace all 3 this year. Ready to pull the plug on Jenkins already? I'm not. He wasn't great this year, and had injury issues, but he's far from our biggest issue on D.
Jenkins and Misi are salvageable for one more year. Jenkins is actually pretty good when healthy. But we definitely need an upgrade at MLB. Brothers and Wright III are good candidates in the 2nd or 3rd round. I like Ragland a lot, but I would be apprehensive to spend the #8 overall pick on him. At that high of a pick he had better look like Kuechly, and Ragland is nothing like Keuchly. Versus the run maybe, but in coverage they're light years apart. I'm hoping we go DB in the 1st round. There is simply too much of a talent drop off after the first three or four DBs come off the board. This particular draft is pretty thin. But at the top there are some excellent options. I am a little queasy with taking Myles Jack with the first pick with him coming off of an injury. It seems like we have had guys do that recently and miss time in camp and then can't start. Or hurt something else because they are favoring their injured limb. I think the 1st round pick should be able to come in and start hopefully. I have looked at no film. You guys who know his game did I read correctly somewhere that he has some problems getting off of blocks in the run game. Never read that. In fact they say he has a special ability to sift through the trash to get where he needs to be quickly. Scouts are in love with this guy. He may wind up getting drafted before we pick. I think Jenkins is a keeper. I also like the upside of Neville Hewitt. He did a nice job covering Gronkowski and motored all over the field in the last game. In a few other games he was doing a nice job covering ground. Might be good depth and someone who can specialize in nickel situations. I like Josh Perry in the 2nd Rd. And as I've said before, I wouldn't be opposed to Jaylon Smith if Miami is certain he'll be on the field by November-ish. Misi-Jenkins-Hewitt/Vigil/FA might be able to hold it down for a bit. If everything we're reading about Myles Jack is true he won't be on the board at #8. If there is a little too much hype in there Miami will have a shot to get him. I found the article about Myles Jack that caused me to ask about run d. His positives sound impressive. ... WEAKNESSES: Lacks ideal size at linebacker. Does not possess ideal length and can get caught up in the wash. Not an explosive hitter. Will need to prove the health of his season-ending knee injury that required surgery and will be limited in his ability to impress scouts on the field during the pre-draft period. IN OUR VIEW: Out of this game due to a knee injury suffered in September which required season-ending surgery, Jack nonetheless projects as a top 15 pick, boasting perhaps the country's-best combination of instincts and athleticism. Unprecedented as the Pac-12 Offensive and Defensive Freshman of the Year in 2013, Jack has the vision, agility and speed to star at running back if he wanted to return to that position but is even more valuable on the defensive side of the ball, where he's a true three-down linebacker and future Pro Bowler. Myles tore his ACL before the college season started AQNOR. He is fine now. wtkoiber, if Miami were to take Ragland, it would be after trading DOWN in the 1st round to acquire additional picks, not at #8.
k-dash, this is what James Walker said, not me. Not ready to give up on both Koa and Jelani, although I would not have a problem with Miami bringing in a couple of talent linebackers, especially at middle linebacker. Last edited by phinsfansc on Sat Jan 23, 2016 1:44 pm, edited 1 time in total. I think adding one top linebacker is enough right now. If they go get 2 then all the better. Rotoworld's Josh Norris ranks UCLA LB Myles Jack as the No. 1 overall prospect in the 2016 NFL Draft. "The complete package at the position, and a complete linebacker is as valuable as it has ever been," Norris wrote. "Jack’s movements are uncommon. His lower half swivels when adjusting to what is in front of him, and his first steps are explosive and springy, quickly eating up ground to make a play others cannot. Jack is equally as aggressive between the tackles as he is in coverage. At UCLA, he was even asked to play opposite receivers and did not look out of place in coverage. Jack is a foundation piece to build with and around." Jack, who measured in at 6-foot-1, 245-pound for scouts during the season, is likely to go in the top 10 if his medicals check out. His meniscus tear may be healed by the combine. I agree. An ideal situation is one where we're able to retain Vernon, keep Wake, and draft a pair of linebackers. I've already made it known that I really like Brothers and Wright III. I also think Ragland is an option if we trade back in the 1st. Not sure who is out there on the free agent market that could be worth a look. But if it were up to me I'd just address it through the draft. I'd like to see the Dolphins take a chance on Antonio Morrison from Florida in the late rounds. Judging by the way he played this season after returning from injury, he looks like he could be a steal for somebody. Of course there is some serious stuff that needs to be looked at, like his health and why he was arrested for punching a bouncer and barking at a police dog (charges that were dropped). But turn on the game tape from Florida's win over #3 Ole Miss and tell me the kid isn't worth a look. If he's there in the 6th or 7th round, I'd be very happy for us to pick him up. The thing that gives me pause about those 3 you mentioned (Ragland/Brothers/wright) is lack of speed and coverage skills. I think i'd rather roll with guys like Jack, Smith, Cravens, Lee and Perry from ohio state and my favorite sleeper is Deion Jones. These guys have more of the skillset necessary for the speedy pro game. 3 down backers. I see Brothers and Scooby as only being 2 down thumpers. Florida coach Jim McElwain said senior LB Antonio Morrison's recovery from injury was "unbelievable." TFY Draft Insider's Tony Pauline thinks Florida senior LB Antonio Morrison's performance in the Tennessee game "was cause for concern." Florida senior LB Antonio Morrison made 16 tackles, including 3.5 tackles for loss, in the school's 38-10 win over Ole Miss. Let's see what Scooby runs the 40 at the combine. Anytime I see a kid with 150 plus tackles and 14.0 sacks in a season in a Power 5 conference like the Pac-12, you get my attention. Give me PLAYMAKERS, guys that can play the game. Not putting in the Luke Kuechly category, but also, what helped Luke stock even more was his 40 time he ran at the combine. No one thought he was a 4.5 40 guy. Kuechly was definitely a monster prospect his entire final year. I remember him being mocked in the top 10 the way Myles Jack is now. Jack is a similar prospect. Scooby has had a good amount of injuries in his career so thats also something to consider. Arizona junior LB Scooby Wright has picked an agent, reports TFY Draft Insider's Tony Pauline, and will announce his intention to declare for the draft after the New Mexico Bowl next Saturday. "Where does Wright end up?" Pauline mused. "The majority of people tell me Wright is no better than a mid-to-late round prospect, something I totally agree with." Because he missed most of the season with a foot injury and was already going to face questions about his measurables, it was probably best that Wright return to school to try and rehabilitate his draft stock. You can't blame him for jumping, though, especially since he was one of college football's best players as a sophomore. An NFC executive compared Wright to former Dolphins LB Zach Thomas earlier this year. That Zach Thomas fella turned out to be pretty good. Luke was top 15-20 before the combine. He cemented his place in the top 10 after that combine. I'm hoping we bring three new linebackers to camp. Two through the draft and one in free agency. Add a free agent to upgrade Sheppards spot, and two draft picks to improve depth and provide competition four the vets. I would have no problem with this at all.